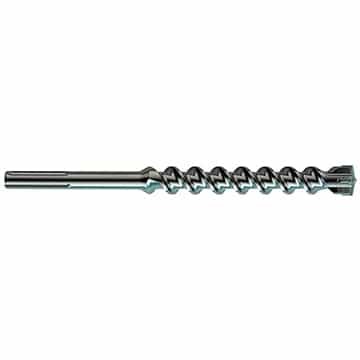 The SDS Max Zentro Drill Bit 4-cutter design technology ensures precision drilled holes and ultimate performance. Optimised flute core strength ensures low vibration drilling performance and secondary cutters protect the drill bit in the event of reinforcement collision. Manufactured in Germany to the highest of quality and design specifications.